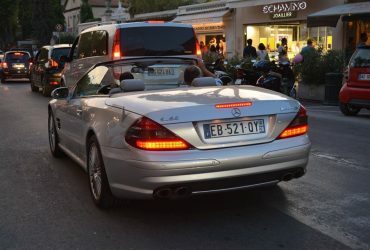 The W203 C Class Mercedes was produced between 2000 and 2007 and has approximately 46 different varieties depending in which country you live in. 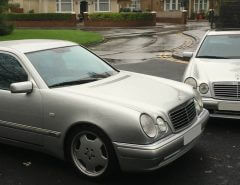 Here in the UK, the W203 is a very common sight amongst the taxis thanks to the frugal four cylinder engines providing great economy and decent performance. The engine sizes vary from the 1769cc petrol 4 cylinder to the rare 5439cc AMG versions. Aswell as the C55 AMG, there were also C32 AMG’s that has a supercharger coupled with the 3199cc engine which provided impressive performance. 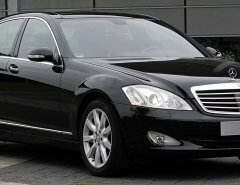 The W203 C Class has always been a “marmite” type of Mercedes where you either love them or hate them. Personally, im not a fan however the amount of car you get for your money is outstanding. 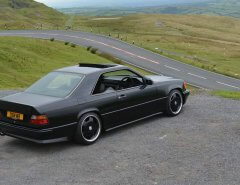 You can pick up an AMG W203 in either a 5.5 or 3.2 Kompressor for as little as £5000 and £8000+ for a really good spec. 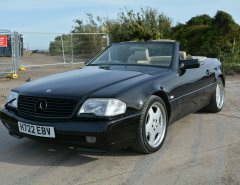 Lower down the chain, you can pick up the smaller engine C Classes for less than £1000, which could be a great work horse for many years to come. Rust – Although not as bad as the predecessor, the W203’s can suffer bad rust which usually hits the rear arches first. Valeo Radiators – Symptoms are a droning/humming noise at approximately 1200 – 2500 rpm as well as a jolt when accelerating gently. SAM (Signal Acquisition Module) Module – A faulty SAM can be a huge electrical headache. Symptoms can include: fuel gauge not working, lights not working, constant fuses blowing, key fob issues, battery can’t hold power (constant drain), rear lights staying on, dashboard buttons non respondent and even more. A new module can be purchased at the dealer for over £200+. Front Suspension Bushes – the W203’s eat bushes regularly and you will be able to tell by a clunky front end whilst going over bumps. Oil in Engine Wiring Loom – occurs where the cylinder head oil leaks past the solenoid and ends up in the loom to the ECU, which can cause further issues with MAF/02 Sensors. More Common in the C180 Kompressor models. The W203 can be improved further, some great upgrades would come in the form of a rear reverse camera that be connected just above the bumper and be a cheaper option than going to the dealers. 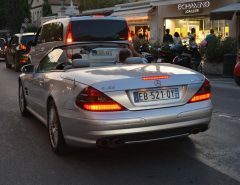 Has your W203 not got xenon lights? You can use the H7 bulbs to produces a great xenon look and increase visibility on the roads with this full xenon headlight bulb kit. Keep up to date by checking vosa. Overall, the W203 does have issues like any other Mercedes however they are mainly due to electrics rather than mechanical issues. If you were to buy a W203, ensure all electrics work as they should and check whether the SAM module has been replaced. 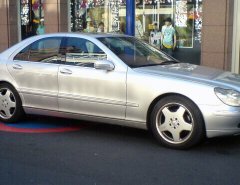 The W203 C Class was facelifted during 2004, where Mercedes took care of the majority of issues, so it may be worth spending that little extra for a facelift version. 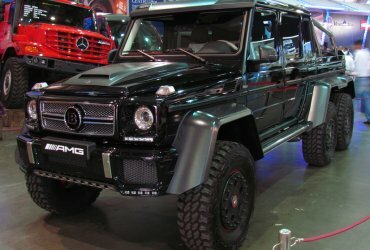 Next Article Why is the G Wagon So Expensive?